We will take the time to listen to you. 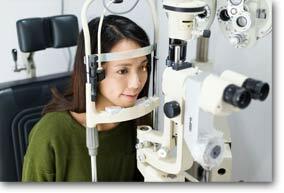 We understand how scary and frustrating it can be to talk about your eye conditions and problems. Your eye health findings will be clearly explained, and visualized so you can better understand your eye health fully. The latest technology will be used from the beginning to the end of the exam and will make the experience easy, comfortable and fast. Some of our individual specialties include: complicated contact lens fits, low vision care, traumatic brain injury management, pediatric care, and dry eye disease. We will discuss all the treatment options with you and develop an individualized plan for your best care and management.